The Society holds a History Day every year on a Saturday in October or November. This is a conference on historical themes associated with Market Harborough and its district with several speakers each giving a presentation on a local topic. It is an event where local researchers can present the results of their specialist studies. 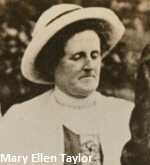 Local societies and organisations with an historical interest have stalls and can display their work and publications. The History day started in memory of J C Davies the local historian and headmaster who was instrumental in the setting up of the Harborough Museum as well as the author of several books on local history. The event now also commemorates the work and contribution of Michael Brown, former President of MHHS. 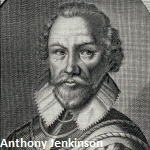 Anthony Jenkinson was born in Market Harborough in 1529. The son of a prosperous innkeeper, he became the great pioneer of English exploration overland. He survived numerous perils and near disasters and, in two separate expeditions, reached Bukhara and Persia. Jenkinson was one of the few men that Tsar Ivan the Terrible trusted. He managed to negotiate the restoration of the Muscovy Company's trade with Russia, which had previously been banished. Kit is author of a book on Anthony Jenkinson published in 2016. 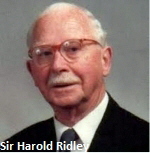 Prior to Harold Ridley’s first insertion of an artificial intra-ocular lens in 1949, patients who had cataract surgery needed to wear heavy distorting spectacles which greatly reduce the quality of vision. Cataract extraction and lens implantation is today arguably the most successful operation ever and has been performed over 100 million times. The triumph of Ridley’s persistence in the face of opposition and difficulty is epitomised by his eventual knighthood 50 years after his first lens implantation. Geoff is a Consultant Ophthalmologist Emeritus and ambassador for the Ridley Eye Foundation. Tea Break 3:00 - 3:15 pm. John Kenney is most noted as the illustrator of Thomas the Tank Engine which sells a billion pounds of merchandise every year amounting to over 80 million books in 121 countries. The image of Thomas we see today was created by John Theodore Kenney who lived and worked in Kibworth. A fine landscape artist, he also illustrated Ladybird books and recorded the devastation in Europe following the D-Day landings. Now a Green Plaque Award is being unveiled, recognising this modest and genial man. Stephen is a well known historian, author and broadcaster and has hosted his own history show on BBC Radio Leicester.